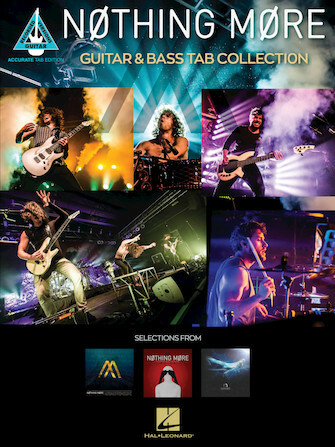 Audio: Listen to the audio for Nothing More - Guitar & Bass Tab Collection! A dozen note-for-note transcriptions in notes and tab for guitar and bass from this popular alt-rock band which hails from Texas. Songs include: Fat Kid • Fell in Love with a Ghost • Go to War • Gone • The Great Divorce • Jenny • Just Say When • Let 'Em Burn • The Matthew Effect • Salem (Burn the Witch) • Take a Bullet • This Is the Time (Ballast).